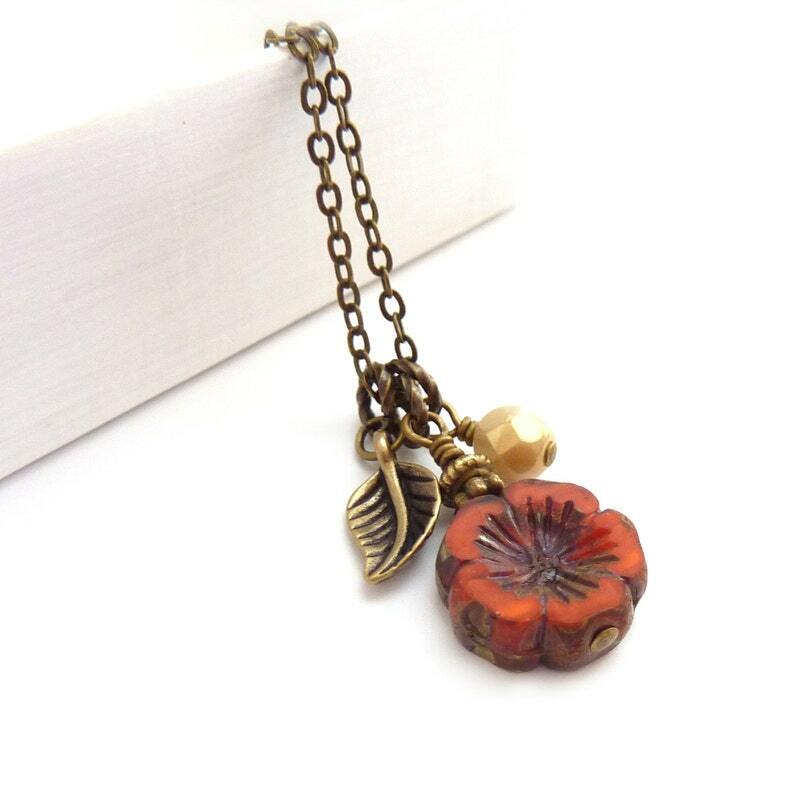 Romantic charm necklace with a reddish orange Hawaiian flower bead that is delicately carved in the center surrounded by a small antiqued bronze etched leaf and an opaque off-white bead. All of the charms are suspended on a bronze chain and finished with a lobster clasp. * The necklace ships with a 24" chain or you can also choose another length from the menu at the right.